The Oppo R15 Pro, as well as the regular R15, packs a notched 6.28" screen of 2,280 x 1,080 pixels (that's 401 ppi). The matrix underneath that slightly curved Gorilla Glass 5 piece is of the Diamond PenTile kind. In our display test, the R15 managed some 410nits of maximum brightness, in line with the R11s and OnePlus 5T. Just like the R-series phones to come before it, the R15's AMOLED doesn't offer a brightness boost in auto mode. Still, the other inherent benefits of the screen technology are intact. Contrast is, predictably, infinite and blacks are as deep as they get. The minimum brightness equals the R11s' - just 2.1nits, perfect for reading in the dark. Sunlight legibility is better than the R11s and pretty much the same as measured on the R11. It's on par with most of the OLEDs there and means perfectly usable even in the brightest of days. We also measured the color accuracy of the R15 display. The average DeltaE is 5.7 with the maximum deviation of 9.6 being at point white. There is a noticeable blue tint on some of the colors, including white, but you can use the Warm Color temperature option from Settings to lower the blue impact. Finally, it's worth noting that the AMOLED display on the R15 Pro fares greatly in terms of color shifting when viewing the screen at an angle as there is barely any. In other words, it's no worse than on premium-tier phones such as the Galaxy S9 and iPhone X. 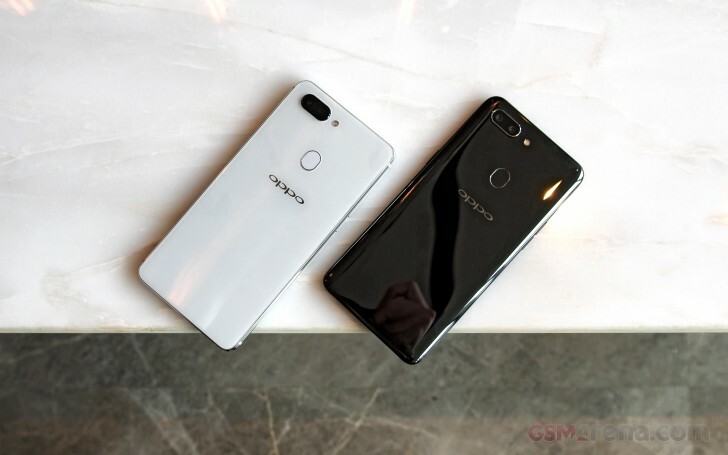 The Oppo R15 Pro is powered by a 3,400mAh battery (Li-Po) sealed inside its glass body. The phone supports the fast VOOC charging standard and is bundled with the proper charger for it, a 5V unit at 4A for a total output of 20W. In our tests, it reached a 58% charge (from flat) in half an hour, and full charge in an hour and a half. ColorOS features a few power saving modes that are enabled by default, so you may notice how the phone often intervenes by killing background apps for you. If that causes issues, you can exempt specific apps from this behavior. We found it too aggressive to our taste and had to go and white-list a few apps manually (a minor note: we wish we had a way to do this from the app switcher, instead of having to go into the settings). We ran our battery tests and the 3,400mAh battery posted an overall score of 86 hours - slightly better than the R11 and R11s numbers. The R15 did great on talk time, web browsing, and video playback test, while its standby power consumption is slightly above average. The R15 and R15 Pro have AOD screens, but they are far from power-efficient and will take a huge toll on the standby endurance. Our endurance rating denotes how long a single battery charge will last you if you use the Oppo R15 Pro for an hour each of telephony, web browsing, and video playback daily. We've established this usage pattern so our battery results are comparable across devices in the most common day-to-day tasks. The battery testing procedure is described in detail in case you're interested in the nitty-gritties. You can also check out our complete battery test table, where you can see how all of the smartphones we've tested will compare under your own typical use. The Oppo R15 Pro, as well as the R15, has a single bottom-firing loudspeaker. The tiny earpiece is just that - an earpiece - and doesn't double as a second speaker. The Oppo R15 Pro scored a Very Good mark with its single loudspeaker, an improvement over the R11 series. It's a bit quiet in the vocal range, but it performs great for music and the sound output is rich and clean most of the time. 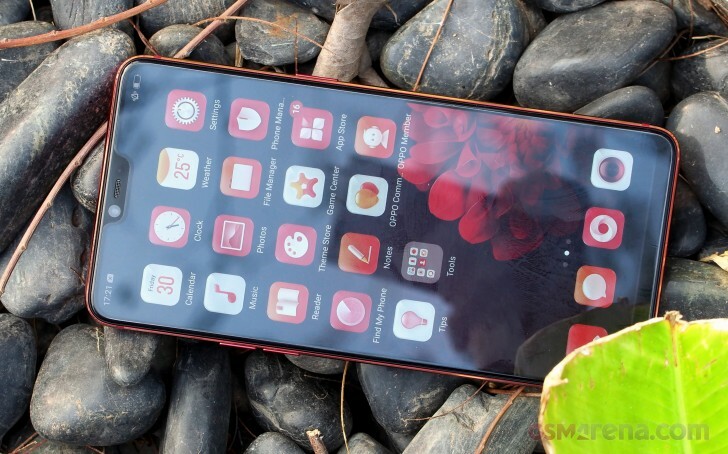 With an active external amplifier the Oppo R15 Pro did splendidly. Its accuracy was flawless and its volume levels were nicely high. When we plugged in our standard headphones, volume dropped to just above average, while the stereo crosstalk rose a moderate amount. Some intermodulation distortion crept in too, but that's hardly noticeable. Overall, the quality of the output is very good, although we've seen flagships do much better - particularly in the loudness department.